Facebook revealed a design update for its stand-alone Moments application. 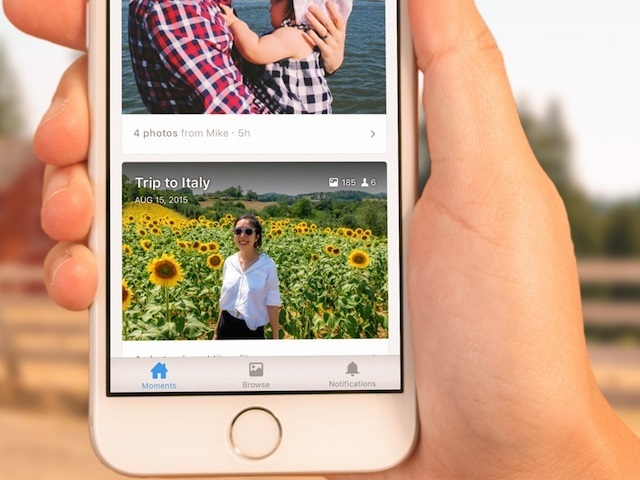 The social network released its Moments app in June. Moments now includes three navigation tabs at the bottom of the app: Home, Browse and Notifications. The Browse tab gives users access to all of their photos in Moments, as well as the browse experience that had previously been part of the app’s search function. Facebook also added slideshow themes to Moments: Joyful, Amped, Snazzy, Dramatic and, just in time for Halloween, Spooky. Readers: Have you used Moments? What do you think of the app’s new features?